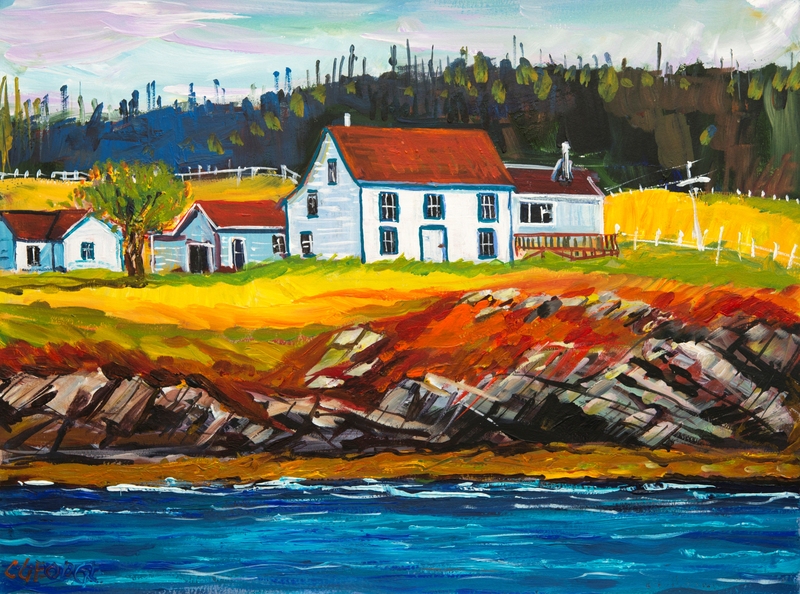 A new exhibit opens today at the Christina Parker Gallery in St. John's, featuring work by Newfoundland painter Clifford George. The beautiful, colourful collection of landscapes is called "Ancestral Art: Oh From Twillingate Moreton's Harbour, All Round the Circle (Will the Circle be Unbroken)." These paintings will be on display for the next three weeks. To enjoy and nourish my ancestral upbringing is a serious matter to me. Our forefathers, people of the fishing rooms fished here for over 500 years. When the fishery folded its curtains, old trap boats were pulled up for the last time leaving them to die propped up on cripples near the land wash in long forgotten grasses, whispering a lonely tune to the ebb and flow of the tide. I keep having a dream of our ancestors where I am looking through upright wharf sticks and flake shores with my grandfather and my Uncle Fred washing out salt fish at the land wash. The dew of early morning makes a swishing sound against their long rubber boots and the salt water at the land wash kisses the beach. In this series of paintings I travel to places where folklore thrives. Songs of our ancestors were etched in this place. I find myself lured by the distinct images, and whispering echoes calling to me over the expanse of time. Salt box houses resting on the shoreline and meadows of Change Islands. Here children once played amongst potato drills and old cellar houses. Sands from the landwash give a lonesome melody of long ago. Here, wood stoves crack and whistle tunes on long winter nights whistling to the sound of the worm wood. Sea air freshens one old house; the wind carries its tune into every room, windows broken, curtains blowing open stage doors of my mind. This old house sits in long, uncut grasses and portrays its many greens and yellows as it dances to the northeast wind. Some grand fishing rooms and salt box houses stand proudly, painted and well-kept along the shore line here on Change Islands, the ponies dance as a northeaster sweeps through their pasture land. On Fogo Island, my pallet came alive to the bright coloured salt box homes. I was overwhelmed by the community and its moods along the shore. I travelled to Moreton’s Harbour and Twillingate and made my circle of sketching and painting. 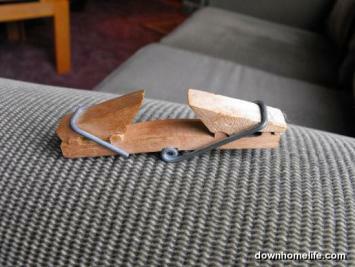 I sat cradled in the hillside at Cat Cove, Twillingate where an old salt box house touched me deeply. Here I could feel the presence of Captain Peter Troke. It was a privilege for me to go to places like Moreton’s Harbour, the home where poet Larry Small grew up, where he wrote about his ancestral people. 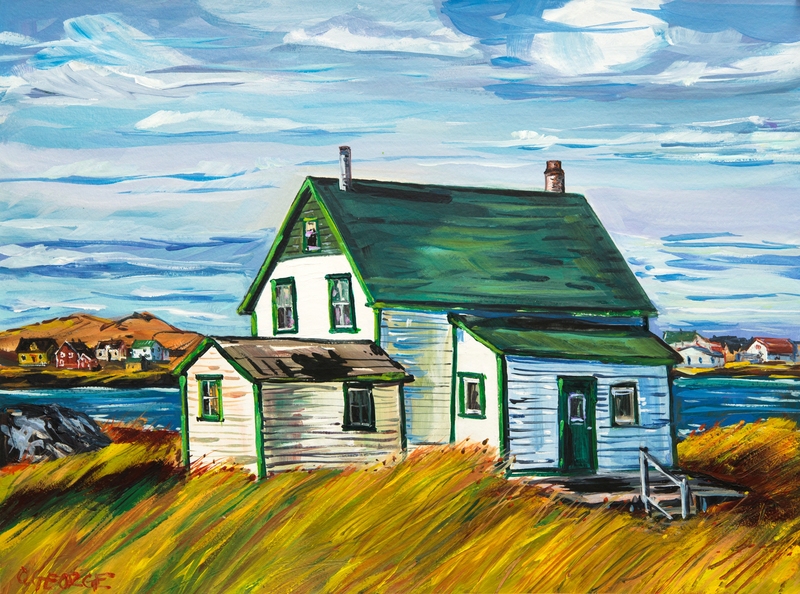 Then I painted Art Scammell’s house at Change Islands where it stood with great reverence and across the road I painted the very sea that he wrote about in the song “The Squid Jigging Ground.” The old salt box house in Back Cove, Change Islands, where the people once lived, someone said Bishop Genge was born here. My grandmother’s name was Eliza, in the song “I took Liza to a dance as fast as she could travel.” I was now here painting the places that the song was all about. Eliza, my grandmother, danced to the tunes that my grandfather played on his accordion in the old parish hall. Old houses now empty but time was when the circle of life and death was contained in their walls. September 2008 marks the one-year anniversary of Bacalao, a St. John's restaurant that specializes in "nouvelle Newfoundland cuisine." The seeds for this unique culinary concept were sown in Cuba in 2001, when Toronto-born chef Mike Barsky and Andrea Maunder of St. John's met by chance and fell in love while vacationing, separately, on that Caribbean island. When the couple returned to Canada they commenced a long-distance relationship punctuated by visits back and forth. 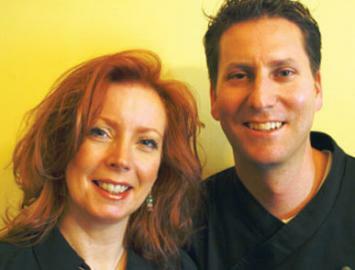 Mike was chef at the renowned Ottawa eatery, Von's Bistro, at the time. After his first-ever trip to see Andrea he discovered he'd not only fallen in love with a Newfoundlander, but with Newfoundland as well. Meanwhile on her visits to Ottawa, Andrea would brainstorm with Mike to design new items for the bistro's menu. She suggested that he try dishes made with salt codfish, which led to the creation of "bacalao fritters" - a dish that soon became popular at Von's. Shaped like a football, the fritters are made with salt fish, potato, garlic, lemon and Newfoundland savoury, then dipped in panko (Japanese bread crumbs) and fried. Von's Bistro served the fritters with aioli dipping sauce, which contains garlic, green peppers, lemon and mayonnaise. Then the opportunity to buy Von's Bistro came up. Mike and Andrea considered making an offer on the business, but they both realized that they actually wanted to live and work in Newfoundland. So in December 2006 they moved together to St. John's and started looking for a place to set up shop. They spent the next five months trying to find a space with the right atmosphere in a good location; finally in May 2007 they found an old house at 65 Lemarchant Road. After a few months of preparation and renovation they opened Bacalao (the Spanish word for salt cod) in September 2007, and haven't looked back since. Why am I telling you all this? Because starting with this issue, Mike and Andrea will be lending their creative culinary genius to Downhome as the magazine's "Everyday Gourmet" columnists. We thought it fitting to introduce them this month, on the eve of Bacalao's one-year anniversary. What do Mike and Andrea mean by "nouvelle Newfoundland" cuisine? In a nutshell, it's a focus on fresh, local ingredients and classic recipes made with a unique twist. So the food at Bacalao would be familiar to many Newfoundlanders, but different at the same time. For example, the salad menu features crispy cod tongues served on a bed of greens with cucumbers and sweet onions and creamy lemon-caper vinaigrette. There is also a blueberry-peppercorn caribou steak salad (it even SOUNDS delicious). A pasta dish made with penne and sausage features chili moose sausages tossed with peppers, mushrooms and onions in a spicy tomato sauce, then topped with shaved pecorino romano cheese and toasted pine nuts. Those famous "bacalao fritters" from Mike's Ottawa days have made their reappearance on the Bacalao lunch menu, which also offers brie and partridgeberry phyllo cigars (brie cheese and homemade partridgeberry chutney rolled in phyllo pastry and baked crisp, until the brie is warm and melting), and snow crab spring rolls - glass noodles, julienned vegetables, ginger, garlic and Newfoundland snow crab in crispy spring rolls, served with a mignonette sauce of bakeapple wine, rice vinegar and chiles. Bacalao's suppliers include the organic farm in Portugal Cove and the lettuce farm on Hamilton Avenue in St. John's; meats (including some of my favourites - lamb, moose and caribou) and fish are sourced locally, too. The dinner menu pays homage to these delicious, traditional ingredients with items like bacalao du jour (the daily dish made with salt cod) and crispy skin chicken breast, which is served golden brown with a Newfoundland savoury jus, sour cream and chive mashed potatoes, buttered vegetables and homemade partridgeberry chutney. 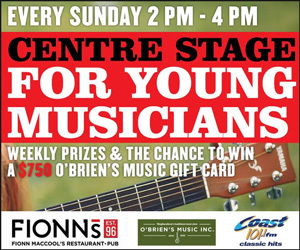 Other delicious choices include Atlantic salmon in gin and juniper berry sauce, caribou medallion in partridgeberry sauce, and mussels served with fries. Bacalao's celebration of all things Newfoundland extends to its decor. The paintings adorning the walls in the restaurant's four cozy dining rooms (each with its own fireplace) are all by Newfoundland and Labrador artists, and the other items on display all represent the Newfoundland and Labrador lifestyle. The crowning touch? The men's washroom is called "John" while the women's washroom is called "The Missus" in honour of the movie John and the Missus, which starred Newfoundland-born actor, Gordon Pinsent. This year's "Out and About" promotion gave me and Lila a closer look at the tourism industry in the province, especially B&Bs. What I saw reminded me how far we've come. When we became an adopted orphan of the British Commonwealth by Mother Canada in 1949, we were backward. We were behind in world knowledge, business sense, political savvy, education (particularly secondary education), personal wealth, and, more importantly, belief in ourselves. However, what we did have were more millionaires per-capita than any other province. Today we have fewer very-rich people, many fewer poor people and a large middle class. We have the highest per-capita secondary education rate in the country. In world knowledge, we're up there with the best. In political savvy - I think the name "Danny Williams" answers that question. In spite of his few faults, I think Danny is one of the best provincial leaders this country has seen. (We aren't escaping the worst part of this recession by sheer luck). We Newfoundlanders and Labradorians certainly have more belief in ourselves than we did 21 years ago, when this magazine started. I've witnessed it and it's happened to me. One of the great success stories of the last two decades is the tourism industry, and the quality of the tourism businesses here. 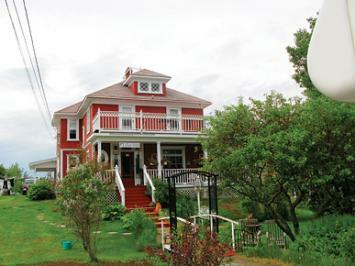 Among my favourite are the B&Bs, which define the unique hospitality experience of Newfoundland and Labrador. And some in particular provide more than comfort and style - they have fascinating histories. A moving story Rothesay House Inn in Harbour Grace is a beautiful modern B&B offering four rooms with ensuites and ocean views, and fine dining by reservation. But long before it was bought and renovated by returning expats, Lynn and George Butler, in 2004 (who, by the way, found the house among Downhome's real estate advertisements), this house's story began in another community. It was built in Brigus in 1855, by a rich Scotsman named Azaria Munden from Rothesay, Scotland. Many of the original accessories in Rothesay House came from Scotland. Then in 1906 love and marriage intervened, which saw the house dismantled in Brigus and rebuilt in Harbour Grace. Divine intervention In Cupids, Lila and I toured Cupids Haven B&B, a renovated Anglican church with four rooms to let. The B&B is open year-round, while the tearoom is open from July 1 until September, serving a variety of Newfoundland traditional dishes - from homemade pea soup with doughboys, to fish cakes, baked beans and toutons. The Anglican Church's history in Cupids goes back to c. 1613, when the first Anglican priest in the New World came to John Guy's colony at Cuper's Cove (the first English settlement in North America, now known as Cupids). The first church, built in the late 1700s, burned to the ground in 1910. Less than a year later, it was rebuilt in a Gothic-style popular at the time. In more recent times, the Anglican congregation dwindled to the point that the church was decommissioned and the property put up for sale. In February 2004 two couples - Shawna and Darrin Akerman, and Charmaine and Derek Akerman - bought the building and turned it into what it is today. They were able to design a modern, efficient B&B while keeping some of the real character of the church, most noticeably the windows. A property with many stories Campbellton's Inn on the Hill has historic significance in my own life. I lived in that town when I was very young and remember having a soft drink (a treat back then) in that house when it was the private home of Max and Elsie Rideout. Max owned a trucking business and a taxi company, and Elsie operated a candy store out of the house. They later built a take-out where the salmon river meets the ocean on the site of the old mill. The old mill was the site of several businesses at different times over the years, including a convenience store that sold beer. Around 1978, my son Grant, my brother Gary and I were on our way to meet three friends, including my brother-in-law Jack from Springdale, for a fishing trip to the island's interior (at Ebbegunbaeg). But as we were passing the old mill in Campbellton, my Chevy Blazer, with Gary's canoe tied to the roof, came to a sudden stop. My first thought was the transmission. Then I noticed a taut rope leading from the Blazer's roof down past the hood. Closer inspection revealed the rope was caught under the right front tire and the vehicle couldn't move. My brother Gary and I took it as a sign that we had stopped in front of a place that sold beer, so we bought more. It turned out we should have bought groceries instead. We never did run out of booze, but we nearly starved, even though we ate all the prize fish we meant to bring home. We were saved, however, by a lady I will never forget, who had given me several bottles of seal meat to take back to Toronto, where I was living then. They were in the Blazer, along with potatoes Grant and I had stolen out of his grandmother Hilda Troake's garden. I tell you, these six starving men will never forget the delight of seal stew, cooked on the tailgate of a Chevy Blazer, just off a dirt logging road somewhere south of Millertown. And that fateful convenience store? It's now an establishment of fine quisine, called The Bistro. The property of the Inn on the Hill and The Bistro dates back to 1902, when the Horwood Lumber Company bought John Campbell's sawmill and turned it into a pulp mill. In 1903, the company built the structure that is the Inn on the Hill today. Part of the mill remains and some parts of the cement troughs that brought the logs to the site can still be seen. If you look closely at the cement platform outside the mill, you will see the cat tracks. A man who worked at the mill got fired over that incident - so I've been told. In 1904, a forest fire that started miles away in Notre Dame Junction eventually reached Campbellton and virtually destroyed the community. Two of the wooden structures spared were the present day Inn and the house next door. Apart from being a company-built house, and a candy store, the Inn was home to builders of three-masted schooners, and served as a post office and a telegraph office. The telegraph office closed on April 11, 1942. The last telegraph sent was addressed to Miss Winnie Kearley, 2 Hill Road, Grand Falls and read: "Many happy returns of today from us all home - Dad and Mom Kearley." Now operated by Judy and John Stephenson, the Inn on the Hill has not only retained its historic value, but has an ocean view and great hospitality as well. Founded on love The history of the final B&B in this series is a love story. It begins with Dr. Yvette Hounsell of Glovertown, Newfoundland. In 1997, Yvette was attending Bradford University in the UK when she met David Webb, a fellow student from Essex. When the couple wed in Glovertown in 2002, David's divorced dad, Keith, attended the wedding. He fell in love with Newfoundland immediately and stayed here. Then in January 2004, Keith met Eileen Walker of Norris Arm. On July 30, 2005, their wedding night, they stayed at the Lilac Inn, which they now own and operate. The house was built circa 1920 by sea captain Baxter Burry, to please his second wife, Mary Currie. Is there irony in this, or is it just me? 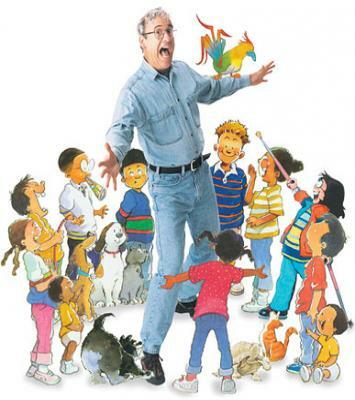 Canadas bestselling childrens author Robert Munsch may set his 30th book in Rigolet, Labrador  if the location gets enough votes. Munsch, along with illustrator Michael Martchenko, will release the book in 2011. Three story ideas, set in different locations across Canada, have been posted online at scholastic.ca and readers can vote for their favourite up until October 31. The story that receives the most votes will be turned into a book, and Munsch will visit the winning location when the book is published in May. Rigolet is up against Brussels, Ontario and Fort McMurray, Alberta. Each story was inspired by children Munsch met while visiting the communities. The story in Rigolet centres around a girl and her dad who go ice fishing, only to discover that the fish are trying to catch the people. Update! Rigolet received the most votes and will be the setting for Robert Munsch's next book, called Give Me Back My Dad!